The “Crown of the Russian Ballet”, proudly presented by Edouard Miasnikov and the acclaimed international theatre company, the Royal Moscow Ballet, will be returning to Johannesburg for 2 days only at the Theatre of Marcellus, Emperors Palace on the 21st and 22nd of July 2018. It’s been said that attending a ballet is a truly magical event, an emotional and enchanting storytelling journey that will leave you feeling exhilarated. The two-hour extravaganza will be led by chief choreographer and principal dancer, Anatoly Emelianov, and artistic director, Anna Aleksidze. The dazzling double bill programme embraces Marius Petipa’s One Act Ballet, the “Paquita” with music by Ludwig Minkus; and Anatoly Emilianov’s choreographic interpretation of the “Firebird” to the musical composition of Igor Stravinsky. The Royal Moscow Ballet, which consists of graduates of the best Russian choreography, ballet and dance schools, premiered on the 12 August 2002. It celebrates its 16th anniversary this year. The company has created more than 20 modern and 15 classical ballets, which have been created by its founders, founders Emelianov and Aleksidze, and has toured successfully around the globe presenting more than a thousand performances. ‘Paquita’ is the creation of French composer Édouard Deldevez and Paris Opera Ballet Master, Joseph Mazilier. 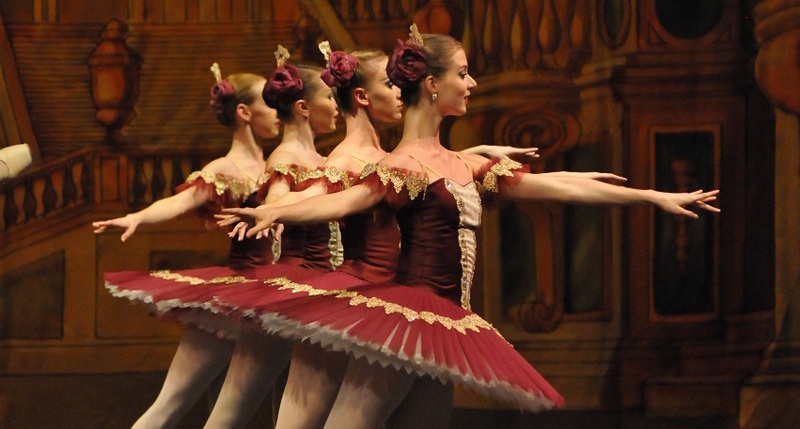 In 1847, Paquita was staged for the first time in Russia for the Imperial Ballet of St Petersburg by Marius Petipa and Pierre-Frédéric Malavergne. In 1881, Petipa produced a revival of the ballet for which he added new pieces specially composed by Ludwig Minkus. This included the Paquita pas de trois for the first act and the Paquita grand pas classique and the Mazurka des enfants for the last act. Petipa’s version of Paquita was retained in the repertory of the Mariinsky Theatre until 1926. Petipa’s 1881 additions for Paquita survived long after the full-length ballet left the stage. Today these pieces, particularly the Grand pas classique, are major cornerstones of the traditional classical ballet repertory and have been staged by ballet companies throughout the world. ‘The Firebird’ is a ballet and orchestral concert work by the Russian composer Igor Stravinsky. It was written for the 1910 Paris season of Sergei Diaghilev’s Ballet Russes company; the original choreography was by Michel Fokine, with a scenario by Alexandre Benois and Fokine based on the Russian fairy tales of the Firebird and the blessing and curse it possesses for its owner. When first performed at the Opéra de Paris on 25 June 1910, the work was an instant success with both audience and critics. The ballet has historic significance not only as Stravinsky’s breakthrough piece, but also as the beginning of the collaboration between Diaghilev and Stravinsky that would also produce the acclaimed ballets Petrushka (1911) and The Rite of Spring (1913).